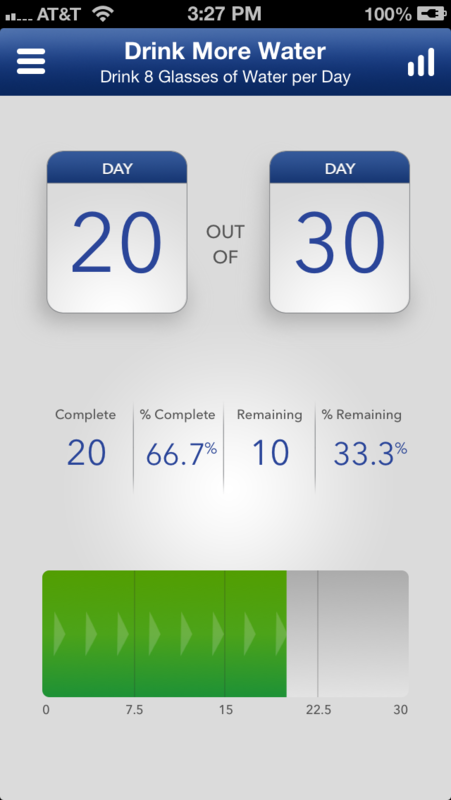 Strides makes it incredibly easy to track all your Goals and Habits in one place. 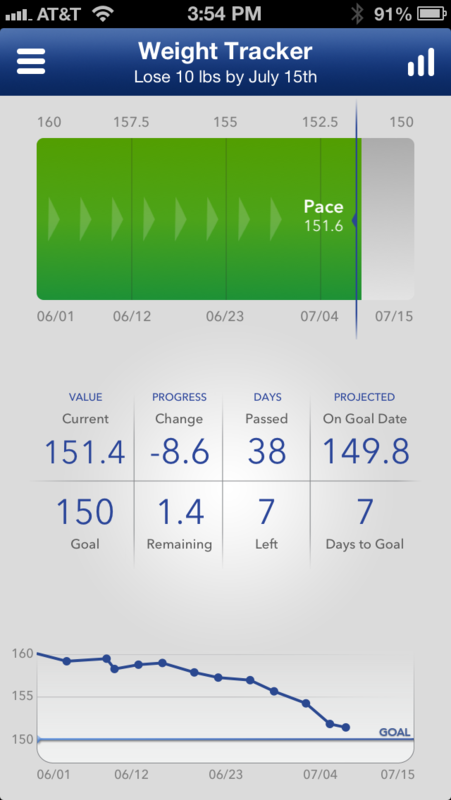 Target - Reach a goal value by a specific date, and always know if you're on track. Examples: "Lose 10 lbs by June 15th" or "Save $2,000 by November 1st"
Consecutive - Build or break a habit by tracking until it's second nature. Examples: "Workout 5 days/week for 4 weeks" or "Wake up at 6:30am for 30 weekdays"
Average - Track your average value over time for anything from games to budgets. Examples: "Stick to Monthly Budget", "Golf: Average 90 Strokes" or "Practice Guitar for 30 minutes/day"
Milestones - Stay on track with projects and goals with multiple steps. 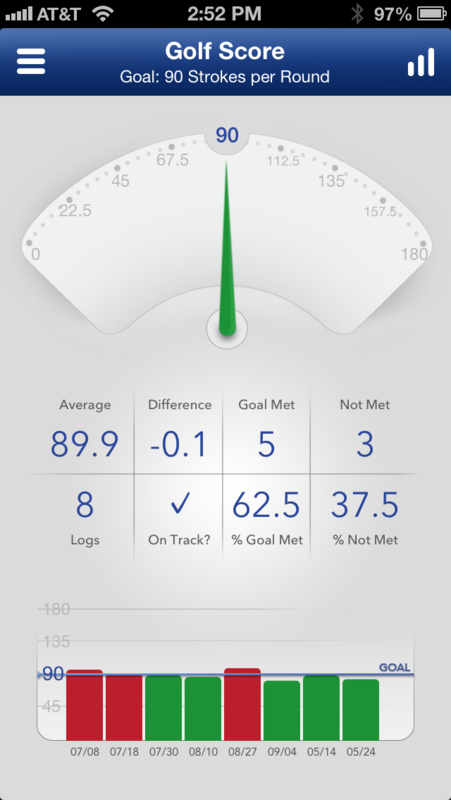 Examples: "Host Birthday Party on July 22nd", "Launch Website" or "Monthly Goals"
By making the act of tracking your progress the easiest part, each type of tracker gives you the ability to focus specifically on your goal. 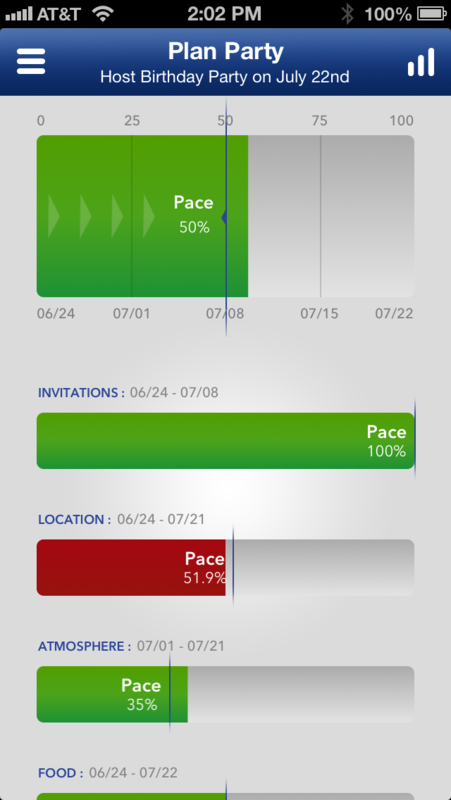 Add flexible alerts so you never have to remember to log your progress, and Strides makes it as easy as possible to stay on track. 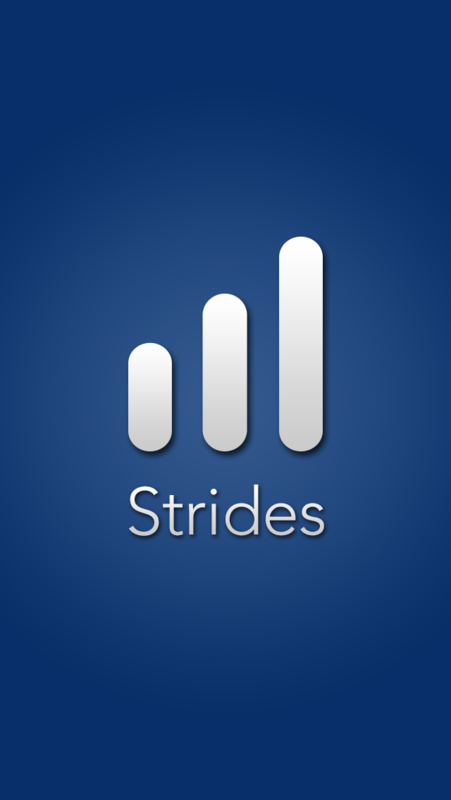 After 2 years of meticulous design and development, I'm finally ready to release Strides to the world, and I can't wait to see the progress its users make!